The first time Marie Enger had ever heard of Nosferatu was in high school. She was trying to impress a college design program during an interview, and she pretended to know about the film when her interlocutors talked about the "German expressionist vibe" art style. In reality, she wasn't a fan of horror movies. 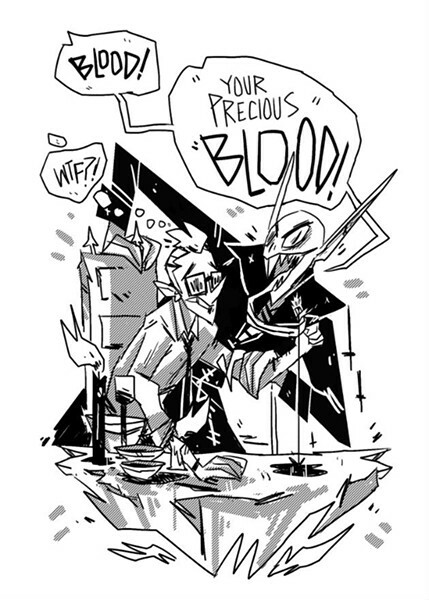 Now, at 28, Enger is creating an illustration series based on Nosferatu. The St. Louis-based artist is creating an art book with 92 pages of illustrations about that notorious blood-sucker Count Orlok. She calls it "a bootleg of a bootleg," given that the original F.W. Murnau film introducing the count was made as a tribute to Count Dracula. "Orlok was F.W. Murnau's love letter to Dracula, and this is my love letter to Orlok," Enger says. She wants to bring this striking character to life for your local coffee table, but like many creatives, she's still in her starving artist phase, and quality print publications aren't cheap. So last month, she made a Kickstarter to raise money for her project, with the help of her friends. With a few days to go, she's exceeded her goal. "If I didn't have this Kickstarter, I could not afford to print these books," Enger says. "I think it's important to have the support, because there's no other way to do this anymore. You need the community to give you something so you can put something back into it." After growing up in Phoenix, she spent her teenage years in Washington. When she went to college, Enger graduated from Webster University in St. Louis with an animation degree in 2012. She headed to L.A. for a while and landed back here. She now does freelance comic book work all over the nation. 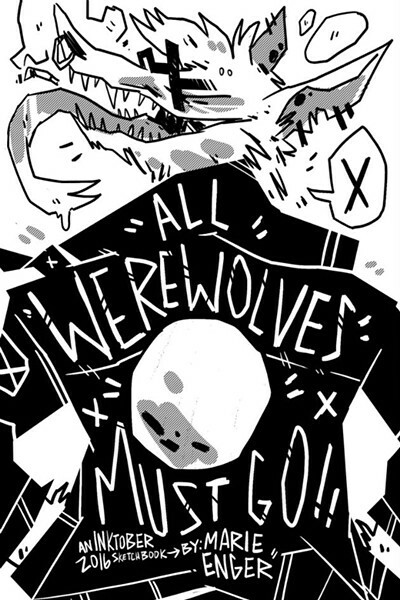 She got her start in side projects from doing a Werewolf illustration collection during Inktober (like regular October, but for artists with lots of ideas and ink) in 2016. Enger doesn't even like werewolves, but she knew they had strong social media presence. Sure enough, her series took off. Her work got a lot of attention through social media from artists all over the U.S.
"I had no idea it was going to turn into something," Enger says, "With the werewolves, it almost feels like a curse because now a lot of people ask me to do projects with werewolves and I've kind of gotten boxed in there." Since, she has broken out of that box. In the most recent Inktober, she watched the Nosferatu film dozens of times and drew illustration after illustration of Count Orlok. "With Orlok, he was so striking and everything around him was so striking that it became something that I immediately adopted into everything I did since," Enger says. Enger is always putting her art out into the universe for our consumption. 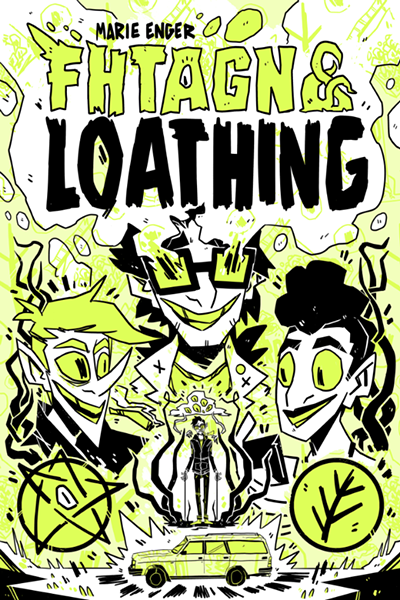 Aside from working with her Kickstarter, she is currently working on her webcomic, "FHTAGN AND LOATHING," which she describes as "if Fear and Loathing in Las Vegas had a one-night-stand with Dude, Where's My Car? And woke up in a H.P. Lovecraft book." 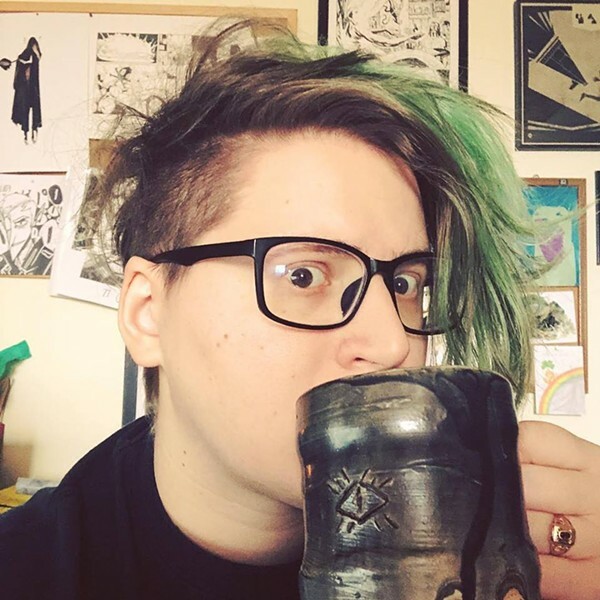 The Kickstarter has raised $7,350 out of the $5,200 goal amount (visit her campaign page ASAP to get in on those rewards!). For more information on Enger's work, visit her personal website.